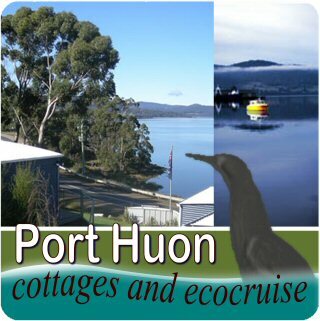 Huon Valley Escapes provides a conduit to help match guests with tourism products. This is a subjective process so every match will be different. It is your responsibility to properly understand the product that you are purchasing and ensure that it is right for you. Sometimes we receive a booking fee for that service, paid to us by the tourism product provider. The amount paid by you will be no greater than the advertised retail cost of the product. Huon Valley Escapes directly operated these accommodations. The customer/seller relationship is between you and us. We collect all payments and are responsible for administering any refunds, changes, complaints etc. Full rate bookings: Unless agreed otherwise, full payment at time of booking. All changes incur a $50 admin fee. Cancellations and changes more than 90 days before booked arrival, just the admin fee. Cancellations and changes more than 30 days before booked arrival, 50%. Cancellations and changes less than 30 days before booked arrival, 100%. Discount rate bookings: Full payment at time of booking. No changes, no refunds. 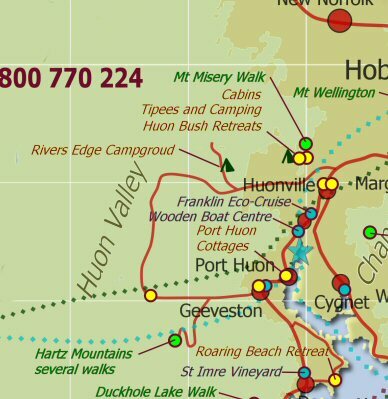 Huon Valley Escapes is not a travel agent. When we book you into a distributed accommodation property, we do not hold your money, so we are unable to intervene in any disputes or refund requests. The customer/seller relationship is directly between you and the provider of the tourism product. Changes, cancellations, complaints and all other dealings are directly between you and the supplier and are governed by their own individual terms and conditions. Full payment for your booking will be charged to the credit card provided at the time of booking. All rates are for one-two people per room excluding the Two Bedroom Apartment rate, which covers up to FOUR people per room (using existing bedding). Extra persons/bedding will be charged at $40.00 each per night. Current photo ID and a valid credit card must be presented upon check-in at the hotel. In lieu of a credit card, a $200 cash/EFT security deposit will be charged before issuing your room key- the balance of which will be refunded upon departure. Failure to provide 48 hours notice of cancellations will incur a no-show fee equivalent to one full night's accommodation. Any amendment to arrival date must be made at least 48 hours prior to original arrival date, unless extending the booking. All amendments will be subject to availability at the time of amending and must not affect any minimum night stay policy. We accept payment by: Visa, MasterCard, Amex, Cash/Cheque. Please note to cover merchant costs, payments made by Amex will incur a fee of 5%. We are a small business and our apartments are in high demand and usually booked out well in advance, so it is necessary to have a cancellation policy. 2 on 2 require a 25% deposit at the time of booking in the form of a credit card guarantee or cheque. If you cancel your reservation more than 30 days prior to departure, your deposit will be refunded. Cancellations made less than thirty days prior to departure, will attract a cancellation fee equal to the 25% deposit. If the reserved services are not utilised, or if a cancellation is made less than seven days prior to departure, the full tariff will be charged as a cancellation fee. Cancellations made with more than 7 days notice incur an administration charge of 30% of total booking fee. 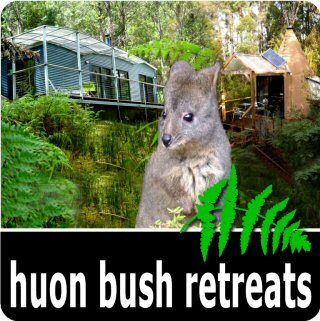 Huon Valley Escapes is a trading name registered to Huon Bush Retreats Pty Ltd. incorporated in Tasmania, Australia. ABN is 60 106 100 207. 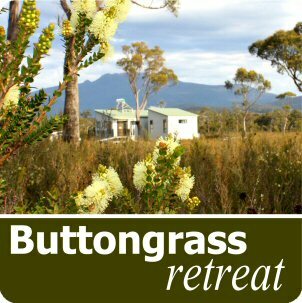 · PO Box 168, Huonville, Tasmania 7109, Australia. 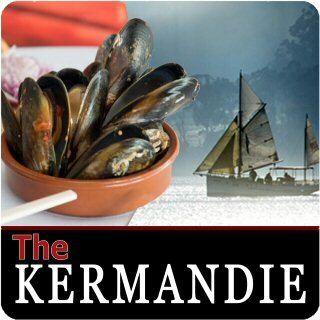 · Phone +61 (0) 3 6264 2233. These terms and conditions, as may be amended from time to time, apply to all our services online, by email or by telephone, by post or any other manner. By using our website or any other service and/or by making a booking, you acknowledge and agree to have read, understood and agreed to these terms and conditions. Provider: An accommodation, attraction operator or operator of any other service whose product we promote or whose information we distribute. Consumer, you, your: Anyone who uses our services to find information, make a booking or obtain any product. Tourism Product: Any accommodation, tour, ride, map, entry, activity or any other product or service intended to be used by a person while they are away from, or in preparation for a trip away from, their normal residence. We provide a promotion and booking service through which accommodation and visitor attractions can advertise their rooms or other services or products. Consumers can use this service to connect with the provider to make reservations and purchases. 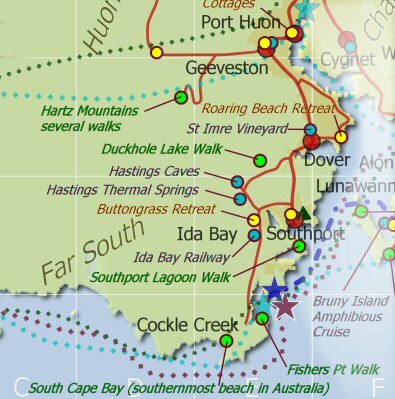 By connecting through Huon Valley Escapes, you enter into a direct, contractual relationship with the provider of the service. We act only as an intermediary between you and the provider. We send the details of your booking to the relevant provider and send you an email advising that we have done so. The provider is responsible for updating all rates, availability, product descriptions and other information which is displayed in our various promotions. Each provider remains responsible at all times for the accuracy, completeness and correctness of information about their product, rates and availability. Our promotion must not be regarded as our endorsement of the quality, service level or rating of any provider or their services. Matching consumers to suitable products is a subjective process. Not every suggested product will be a good match for you. It is your responsibility to check the products that we suggest and ensure that they suit you. The prices that we promote are set by the provider and include GST and all other taxes unless stated differently on our website or the confirmation email. Prices are in Australian Dollars. 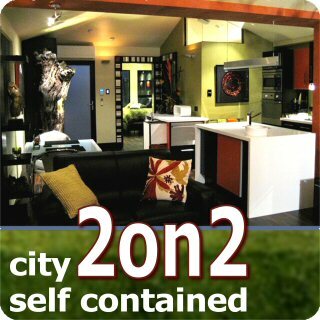 Rates will vary depending on season, and other factors. Cheapest rates often have special restrictions and conditions. Before making your booking, please check the product details and conditions to ensure that they suit your purposes. Our providers have agreed to offer price parity to us. ie, they may not advertise the same service on the same day at a cheaper price. If you find the same service advertised, please forward the advertisement to us and we will match that price and provide a gift to you. The total of all charges will be the total advertised price. We receive our operational funds partly from fees charged to providers and partly from amounts charged to you. This booking fee pays us for the information and booking service that we provide to you. The booking fee is not refundable under any circumstances. In the case where our service connects you directly with the Provider, the provider will charge you directly will later pay us the booking fee. To guarantee your reservation, providers will usually charge your credit card either a deposit or the full amount. The Providers terms and conditions apply. We have no contractual arrangement with you. For some rates or special offers, these amounts charged are not refundable. Please check the terms of each provider and of any special rates or offers for any such conditions prior to making your booking. 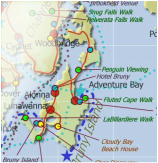 In other cases, particularly where we are arranging an itinerary of accommodations and attractions, we will collect your details and pass them onto the Provider(s). We will send your credit card information to the provider and request them to make a booking. To guarantee your booking, providers will usually charge your credit card either a deposit or the full amount. For some rates or special offers, these amounts charged are not refundable. Please check the terms of each provider and of any special rates or offers for any such conditions prior to making your booking. Once the booking has been accepted by the provider, we will charge you the booking fee, notify you that we have done so and send you a receipt for any booking fee. The Provider will separately charge you the remainder of the advertised price. This amount might or might not be non-refundable. Please check the terms of each provider and of any special rates or offers for any such conditions prior to making your booking. The total of these two components will be the advertised price. This completes our contract with you and establishes a contract directly between you and the provider. By making a booking with a provider, you accept and agree to the relevant policies of that provider, and to any special terms and conditions that the provider that might apply to your booking. The cancellation policy of each provider is available on each providers’ website. Please note that certain rates or special offers are not eligible for cancellation or change. Please check the room details thoroughly for any such conditions prior to making your reservation. If you need to change or cancel your booking, contact the provider directly. We are not travel agents. We do not hold your money so we cannot arrange any refunds or handle complaints. Huon Valley Escapes respects your privacy. When providing services to you, we pass details about you to the provider. Excepting disclosures required by law and the disclosure of your name, email address and your credit card details for completing your booking with the relevant provider, we will not disclose your personal information to third parties without your consent. We reserve the right to disclose your personal information to our employees and our trusted agents and representatives who have access to this information with our permission and who need to know this information to perform their work for us. We will take reasonable care of your details but we are not liable for any loss if those details are stolen from us or if one of our providers or agents discloses your information. By making a booking through us, you agree to receive emails confirming that we have passed the booking and your details to the provider. 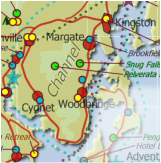 It might also contain information about your general destination area and provide you with information and offers including information about other providers. We might also send you a survey email requesting feedback about your experience of our service and the booked product and other aspects of your visit. The provider has agreed that they will contact you directly to confirm that they have received your booking and to give you any other information that they might consider useful to you. If you subscribe to our newsletter, you agree that we can send newsletters and offers from time to time. You can unsubscribe from this list at any time. Subject to the limitations set out in these terms and conditions and to the extent permitted by law, we shall only be liable for direct damages actually suffered, paid or incurred by you due to an attributable shortcoming of our obligations in respect to our services, up to an aggregate amount of the aggregate cost of your payments to us, whether for one event or series of connected events. However and to the extent permitted by law, neither we nor any of our officers, directors, employees, representatives, subsidiaries, affiliated companies, distributors, partners, agents or others shall be liable for any punitive, special, indirect or consequential loss or damages, any loss of production, profit, revenue, contract goodwill or reputation. Whilst we attempt to ensure truth in advertising, most of the information that we provide to you is sourced from others. We are not liable for any inaccuracy relating to the information, including rates, availability and ratings of the products as made available on our website and publications. The services are provided directly to you by the Provider, so we are not liable for failure or poor performance of the services rendered or the products offered by the Provider or any direct, indirect, consequential or punitive damages, losses or costs suffered, incurred or paid by you, pursuant to, arising out of or in connection with the use, inability to use or delay of provision of the services, or for any injury, death, property damage, or other direct, indirect, special, consequential or punitive damages, losses or costs suffered, incurred or paid by you, whether due to negligence, errors, breaches, misconduct, omissions, non-performance, misrepresentations, tort or strict liability by or wholly or partly attributable to the Provider, its employees, directors, officers, agents, representatives or affiliated companies, including any cancellation, overbooking, strike, force majeure or any other event beyond our control. To the extent permitted by law, these terms and conditions and the provision of our services are governed by the law of the State of Tasmania, Australia. Any dispute arising out of these general terms and conditions and our services shall exclusively be submitted to the competent courts in Hobart, Tasmania. If any provision of these terms and conditions is or becomes invalid, unenforceable or non-binding, you shall remain bound by all other provisions hereof. In such event, such invalid provision shall nonetheless be enforced to the fullest extent permitted by applicable law, and you will at least agree to accept a similar effect as the invalid, unenforceable or non-binding provision, given the contents and purpose of these terms and conditions. In the case of errors that are capable of being read down, they will be read down and enforced as such.